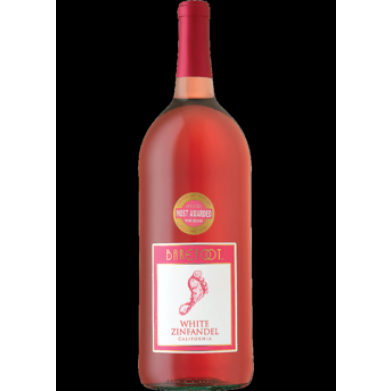 BAREFOOT CELLARS WHITE ZINFANDEL 1.5L for only $8.79 in online liquor store. Refreshing with tropical aromas of fresh pineapple and sweet citrus. Flavors of ripe strawberries and pears intensify the smooth, crisp finish.